As the U.S. economy rebounds, demand for all goods -- including new and used vehicles -- is up. That is putting more pressure on the trucking industry as a whole, where driver turnover typically is about 32 percent a year. Imagine driving a 75-foot rig through the snow to an auction house to pick up a load of used cars and trucks. The vehicles aren't parked where they are supposed to be. The key is missing from one and the paperwork from another. All are covered with snow. You find the cars and you find the keys, and while you wait on the paperwork, you clean the snow from the vehicles. That's all before driving each vehicle carefully onto your rig and hitting the road. 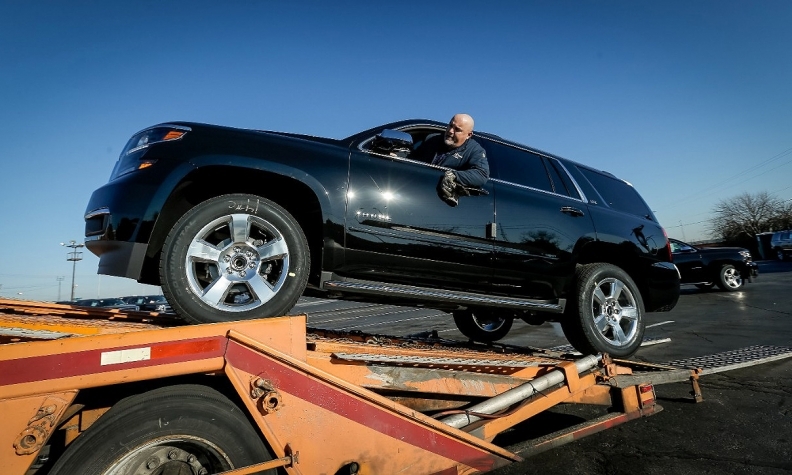 That scenario is all in a day's work for drivers of car haulers, says Kathleen McCann, CEO of United Road Services Inc., a suburban Detroit trucking company that moves about 3 million new and used vehicles a year. It also contributes big time to driver job dissatisfaction. Truckers, who by law have a limited number of hours they can drive, are paid based on a percentage of the value of the goods they move, not by the hour. Add it up, and that's a major reason why the car-hauling industry is short about 3,000 drivers. McCann: "An obvious ... generational gap." United Road has taken a number of steps to boost efficiencies and thus reduce the hours its drivers are waiting, or shoveling snow, and not getting paid. Now, it's considering a step that would encourage auctions, dealerships and others to get more efficient in their dealings with car haulers, too: allowing drivers to review auctions and other customers, much as customers review restaurants online. "We want to make sure that their operations are efficient enough that people want to go there," McCann said. But in the meantime, baby-boomer truckers are retiring, and younger people simply aren't interested in filling those empty driver's seats. That puts the car-hauling industry and its ability to move vehicles to and from auto factories, ports, car-rental companies, dealerships and auctions at "a critical tipping point," McCann said. "There is an obvious cultural and generational gap," she said. "This is difficult work. Not to over-generalize, but it appears [young people] are disinterested in living in a truck, spending a lot of time on the road, and are not willing to perform the lifestyle-sacrificing work that this can be. There is a cultural shift we're going to have to figure out how to deal with." United Road has about 1,700 company and owner-operator open and enclosed car haulers on roads throughout the U.S. and Canada. It also uses a network of over 4,000 third-party carriers to augment its capacity, as needed. As the economy recovers, demand for all goods -- including new and used vehicles -- is up. That puts more pressure on the trucking industry as a whole, where driver turnover typically is about 32 percent a year. The long-haul driver turnover rate is about 100 percent, McCann said. Car haulers are a small part of the trucking industry, making up less than 1 percent of all trucks on the road in the U.S., McCann said. 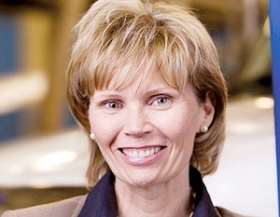 There are five major auto-hauling carriers, and all, including United Road, are counting the same third-party carrier fleet when touting their capacity, she said. Among United Road's competitors are Jack Cooper Transport Inc. and Cassens Transport Co. The industry needs about "16,000 to 17,000" car-hauling trucks and drivers to meet the needs of its customers. "We think we're well short of that," she said. In one step to cope, United Road went paperless about nine years ago after realizing that handling paper slows the process. Paper is often misplaced. Or someone has to make a special trip to get it, and after it is completed, it is scanned into an electronic system anyway, McCann said. The company's patented and propriety operating system, called OVISS, helps build routes and loads. Its smart apps, for example, allow for electronic proof of vehicle delivery and photos of vehicle damage and receipts. "Not all of our customers are as far along the way as others, but it is a tremendous opportunity in the industry to pull out waste," McCann said. Car-hauler drivers do more than just drive. Among other things, they must have geospatial skills, be agile climbers, comfortable with technology and understand the complexity of the rigs that they drive, McCann said. They also must adhere to state and federal regulations such as emissions programs that have increased the size of the rigs' cabs, and customers' requirements that vehicles be secured with straps, not chains, to avoid damage. Both effectively have trimmed car-hauling capacity. McCann said her company is often reviewed and ranked by its customers on things such as on-time delivery and damage to vehicles, "which is very important, very reasonable and welcome." Now, she thinks it's time for a 360-degree performance review.